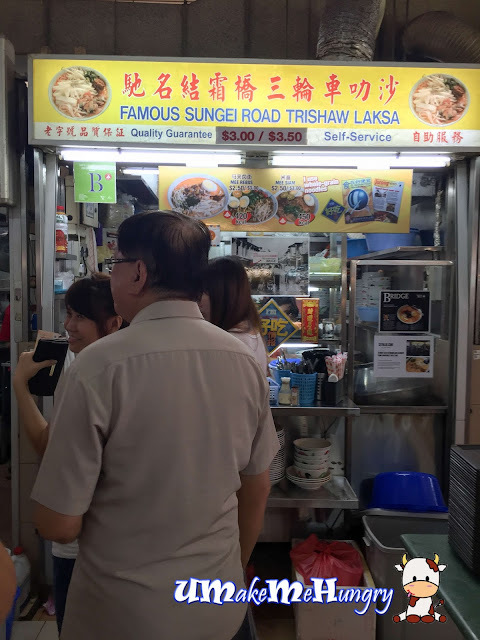 I have been craving for Famous Sungei Road Trishaw Laksa but have not got the chance to visit them in Jalan Berseh. Thanks to my colleague who brought me down to Jurong East and enjoy similar bowl of Sungei Road Trishaw Laksa without travelling too far. Unlike the original stall in Jalan Berseh, this stall offers other food items like Mee Siam & Mee Rebus. Not only that, healthy choice option is adopted here with whole grain noodles used. 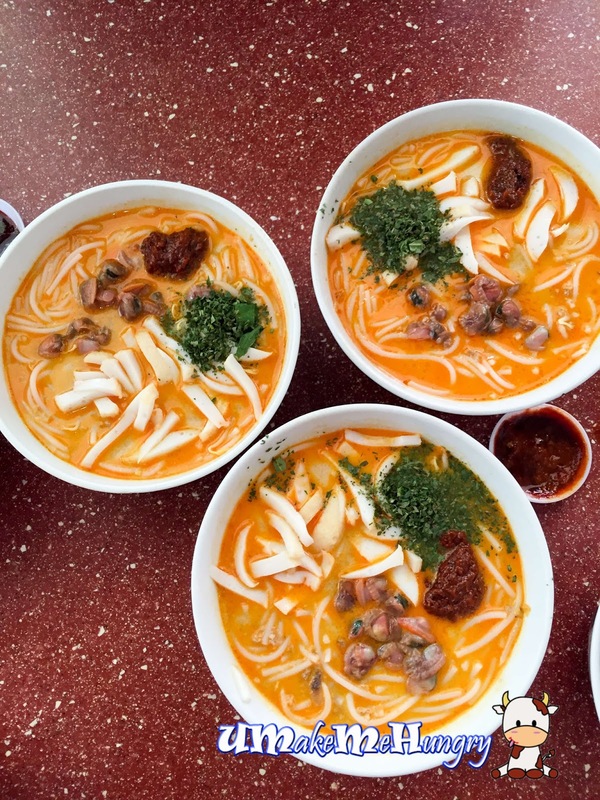 Laksa comes in 2 sizes, $3 and $3.50. The $3 portion is already quite good enough for a meal as ingredients like fishcakes & fresh cockles together with the noodles were rather filling. However if I were to compare them to the one I used to have, I will comment that Laksa gravy spelled the differences. Their gravy was diluted and lack of the usual fragrance even though the taste was rather distinct. For additional spicy kick, do remember to add in their sambal chilli. Taste in overall was close and it was really good that at such a price without travelling too far, I still can enjoy a stomach warming bowl of Trishaw Laksa like this in Jurong.